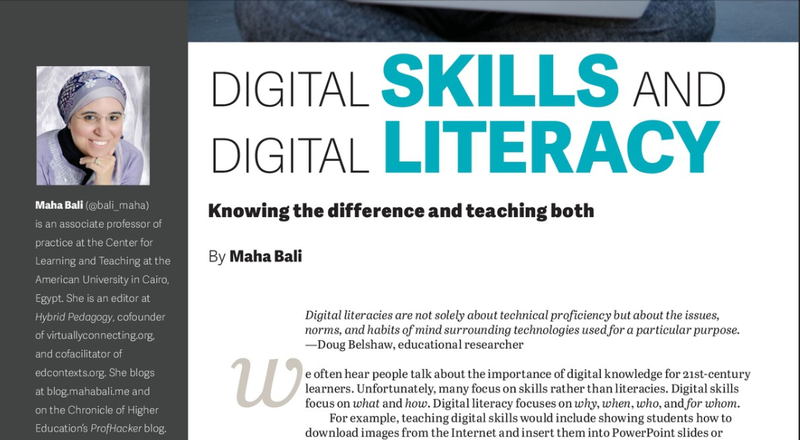 I was delighted to be notified on Twitter that a recent Literacy Today article heavily features my work around digital literacies. The main article by Baha Mali is accompanied by a ‘sidebar’ by Ian O'Byrne (a friend and valuable contributor to the Web Literacy Map work I led at Mozilla). The focus of the article is on the Eight Essential Elements of Digital Literacies that I outline in my thesis, TEDx talk, and ebook. Update (8th January 2016): I’ve been asked by the editor of Literacy Today to remove the link to the PDF. However, it’s been selected as one of the articles which will become open-access in February 2016. The link will appear via the magazine website.